After months of thought and last-minute touches, here’s another new model. French artist Thierry ZDZIEBLO has joined the StoriArt experience with this first creation. This move takes his work beyond the walls of the art gallery, as he reaches out and takes hold of a whole new realm. He is now part of your world, by your side. 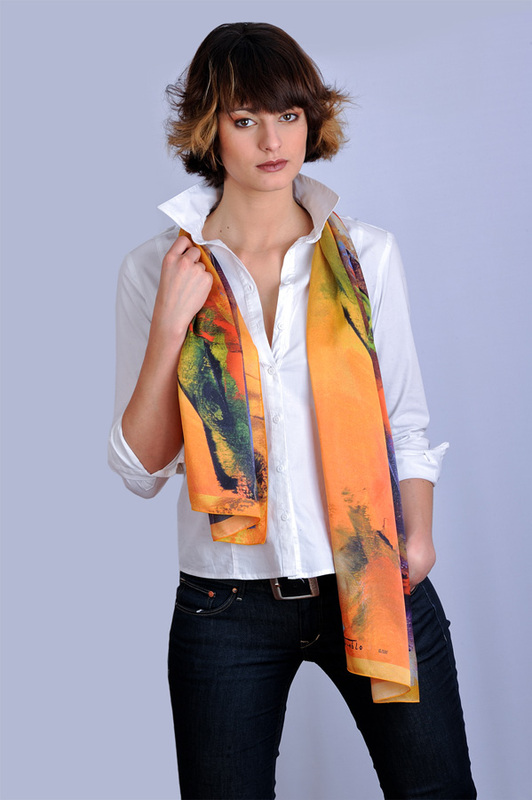 On this satin scarf, the colours blend, collide then find their balance. 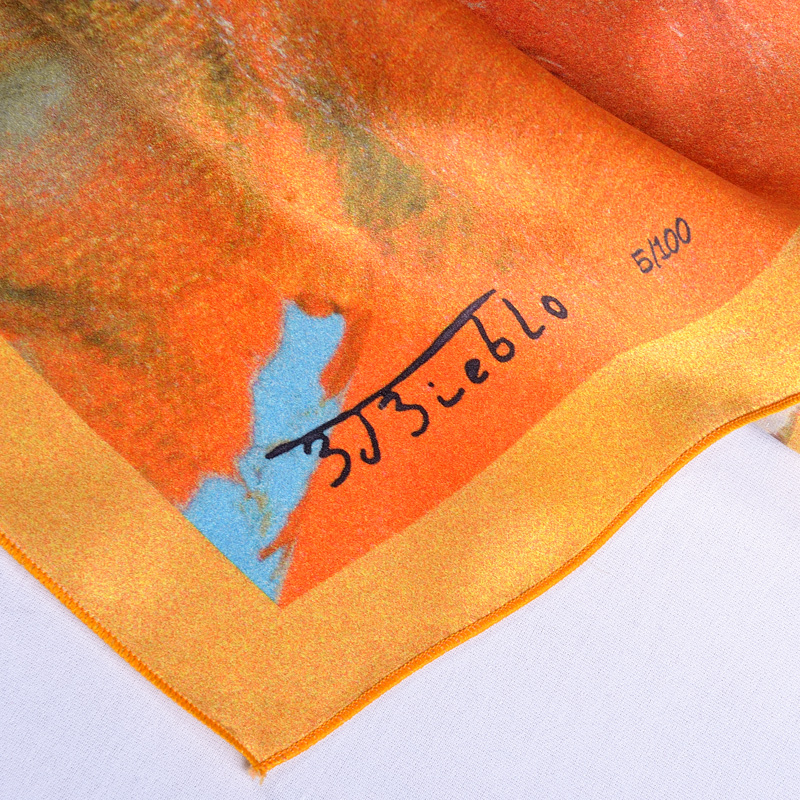 StoriArt and ZDZIEBLO created this model by merging the artwork’s strong character with the delicacy of StoriArt silk. The abstract combination of colours makes this scarf a fashion accessory that will convey your audacity in today’s world through the artistic universe of StoriArt.